Riding on a wonderful cloudy (slightly rainy) morning is always a superb experience. The route to panshet is an absolute treat to eyes. Easy terrain and green cover all around makes this one of the most scenic route. This time around we had 7 new riders, few of them returned on the same day. We reached RACHANA at around 10am. 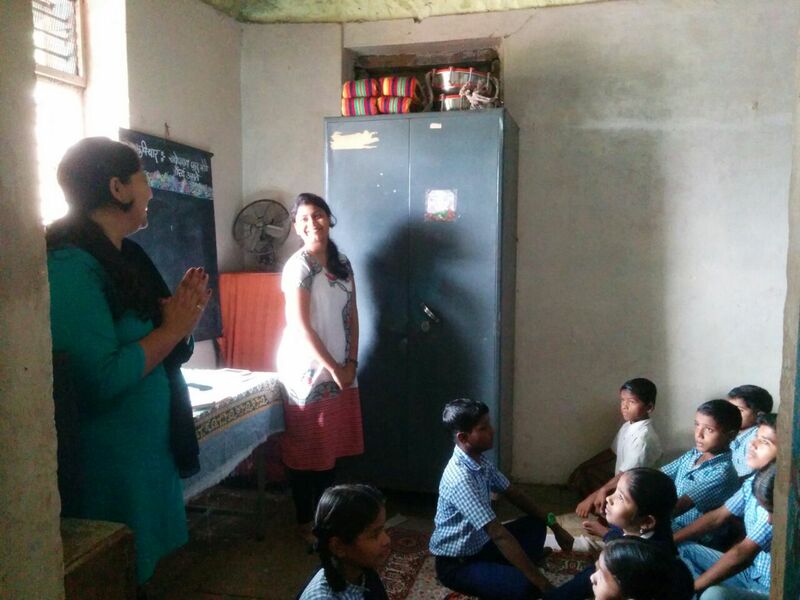 Varsha and Shweta from Efficacia – the brain garage , conducted 2 sessions with kids at the NGO. 1. To make students understand the strategies to study in an effective manner. 2. To emphasis on self-study. 3. To learn group creation for studying. 4. To get more out of the study they do. Session began with knowing from them how many hours do they put in for studying. Inputs were taken about their study habits whether they are someone who plans their studies well in advance before their exams, whether they are someone who remembers what is taught in the class room by reading the lessons loudly to themselves, visually drawing the diagrams, or actually seeing the taught things around them in their environment. Discussions were done about study habits like regularity, organization, taking breaks, notes making and creating study groups. Memory techniques like creating rhymes, narrations, pictures, and mnemonics was also taught to them followed by a group activity on team building. The children were obedient and followed our instructions although they seemed to be a bit shy and slow in response. The session progressed and made them comfortable enough to open up with us. They understood what we were saying and showed us the interest to follow the strategies that we were teaching them. But as far as their general knowledge goes it can be improved they need to be made to understand the long term benefits of education and such sessions will benefit them. This particular session was liked by them and when we revised and summarised the entire session the students raised their hands to answer our questions. The team building activity was especially enjoyed by the students and they laughed with joy. Here they learned to form teams with new people and leave their own comfort zone group to avoid discrimination and how they could form strategies to save their teams collectively. Further guidance will definitely benefit them and unfold their potential to progress in their carriers. After this activity, we all had a nice and simple lunch. A quick nap and them team EB interacted with students, clicked loads of pictures. Overall a very fun time! Saurabh from the team conducted a small math game, where everyone calls out a number and claps when its 5 or multiples of 5! If you miss this, then a punishment is inevitable – students decided the punishment – some singing and dancing was result of this punishment (not bad). 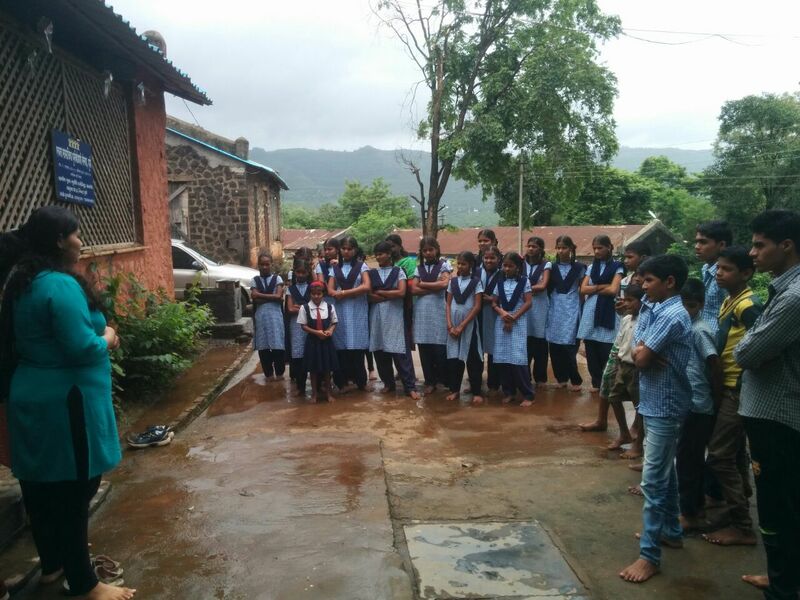 Total Donation collected – Rs 76,502 and is handed over to Swati Chavan, director RACHANA. The donation will be used for maintenance of the facility. If you want to visit the NGO, please get in touch with us for contact details.